There are two different Aleratec USB Duplicators. While the Copy Cruiser is PC attached with 21 targets, the Copy Tower SA is standalone for up to 118 simultaneous copies. used & available space of USB flash drive, etc. 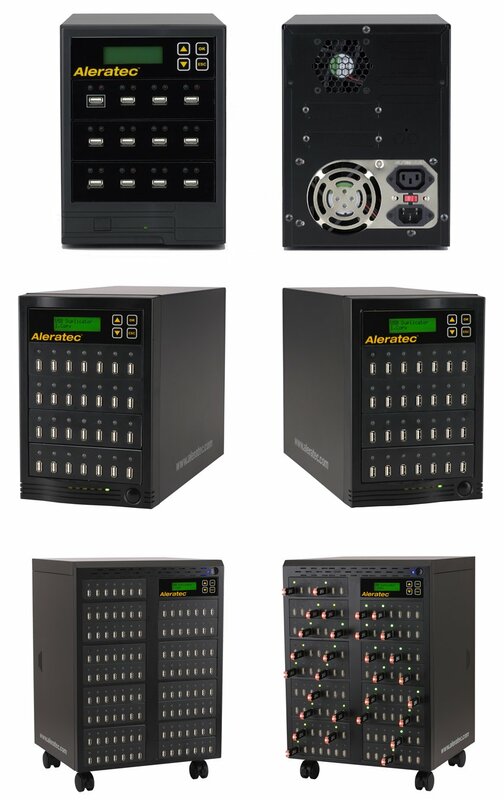 Additionally, Aleratec offers duplicators for CD/DVDs, BluRay, LightScribe, Memory Cards and Hard Disks. They also have a model for Flash Memory to CD/DVD. I need to invest in this for my next USB product launch idea!